I am a task-oriented person. I like to get things done and see myself get them done. I thrive on the feeling of productivity. I realized early on in my career that I must do some kind of work that allows me to see the product of my work (hence writing and speaking). I am also, like many ambitious people, somebody with multiple irons in the fire. Some of the things I work on are things to pay the bills and execute this week. Others are multi-year, long-term projects that require daily and weekly attention and focus in order to come to fruition and not just sit in the ether. A number of my clients are also task-oriented, ambitious people. They also like to check things off to-do lists and feel fulfilled when getting work done quickly and efficiently. But to-do lists are only so valuable. They only work if you get the most important things done (I recall a line in the fantastic book Organize Tomorrow Today that productive people don't get everything done, they just get the most important things done). That's only helpful if you know what the most important things are. An issue I and others I work with continually face is trying to determine what is most important and what to focus on today versus later this week versus later this month versus later this year . Over the years, I've developed a few personal systems I use to maximize my output and make sure I don't get caught in minutiae. I teach these where appropriate (i.e., some of my clients are very analysis-oriented an get caught up in doing too much research and not acting, so I may recommend a different approach to them than one that works for me, somebody who tends to act too quickly). The goal of any good to-do system is to keep yourself on track while not exhausting yourself. 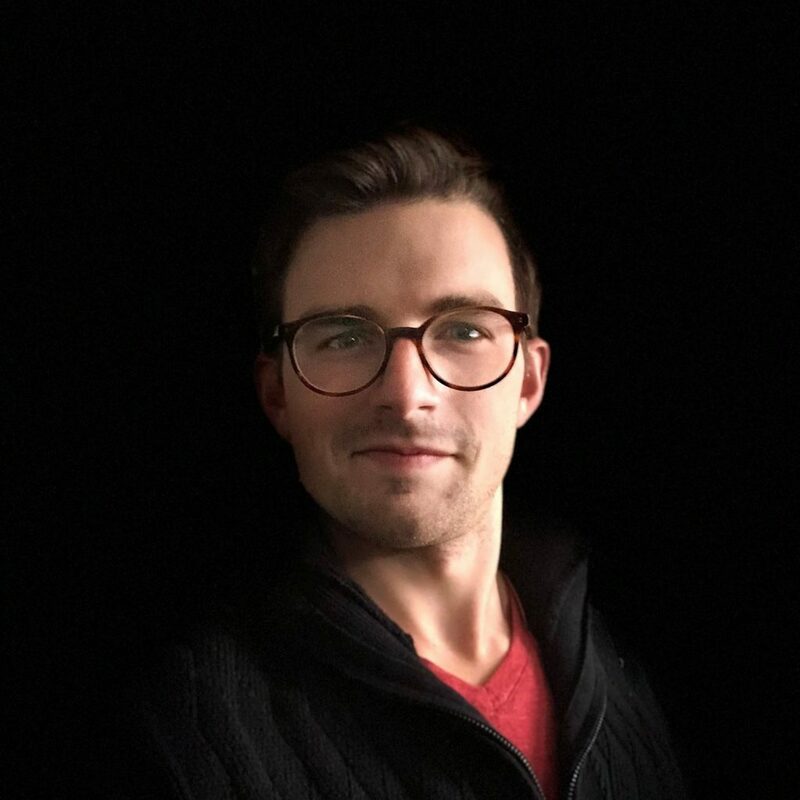 One of the most important lessons I picked up over the last few years was from Isaac Morehouse who taught me to understand both my calendar and my email inbox as a workflow, not as something to be checked off. 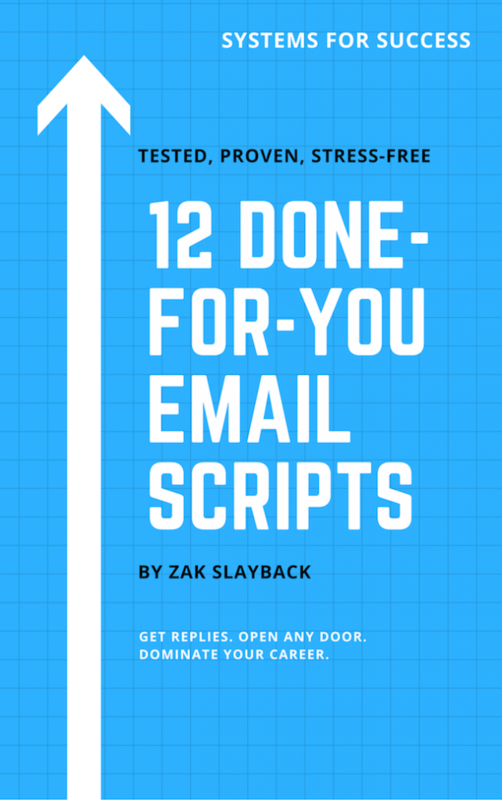 When it came to managing my email inbox, this meant to deal with emails as they came in and see them as items that help dictate how your work is managed for the day. Get to Inbox Zero by the end of every day if everything that comes in is important. When it came to scheduling my calendar, this meant actually using the calendar function to keep yourself on track and export your brain as much as possible. We have a limited amount of willpower in every day and exercising that limited willpower on questions like, "what should I be doing with my time?" takes it away from more important decisions like, "how should I negotiate this deal?" or "how should I edit this line?" And Google Calendar does this well. You finish some work early and don't have to think "what do I get to do next with my time?" You just go check the calendar. Using Google Calendar to schedule out your work time as much as possible is my first recommendation to somebody struggling to get productive. Even that has its limits, though. Unless you have a dual-monitor setup, you can't have Google Calendar in front of you at every moment. Some people even avoid looking at the calendar because it overwhelms them with everything they have to do. And if you are a task-oriented person like me, you don't get the satisfaction of checking things off the day. Whatever productivity system you use should condition you to keep using it. You should get some kind of reward for success and some kind of punishment for failure. You are an animal at the end of the day and the same systems that work for dogs, lobsters, and dolphins ultimately work for you. Experts know this in the world of anti-productivity. Facebook, Twitter, Google, and dozens of other multi-billion dollar companies spend truckloads of money and hire buildings full of experts to leverage this fact against your productivity. They know that the red square of a notification or the blue number showing how many people are paying attention to you releases dopamine in your brain. They know that showing you this enough and associating it with pleasure (this is why Facebook will never release a "dislike" feature...it would condition people to avoid their notifications) will get you posting more often, driving more notifications, driving more pleasure. There are thousands of people at the most powerful corporations on the planet vying for your attention every day and hoping to make you less productive. The least you can do is set up your productivity systems to fight against them. What is it for you? What brings you joy? What feels good just for having done? If you're a task-oriented person who values productivity in its own right, then physically checking things off the list goes a long way. Nothing feels better than getting to the end of the day and seeing your to-do list shrink. Nothing feels worse than looking back at the day and seeing your list get longer. Some people are not task-oriented and see getting things done as a means to an end. A few of my clients are starting businesses so that they can work from home and spend time with their children. For them, associating getting things done with watching their kids grow up is enough to get them back on track. Associating failure to get things done with going back to the cubicle and living out Office Space while Johnny grows up is enough to get them back on track. Set up your productivity game to win. When I was in middle school, I had to interview several people about what they thought the best or most impactful inventions of all time were. I asked my band teacher, Dana Menser, and he earnestly answered, "Stick notes." I was confused and thought he was joking. Sticky notes are nice but not one of the best inventions ever. I now agree with him. Why? Because I know how I think and I know how to set up systems to make me productive even when I don't want to be. Like most people who are self-employed, I struggle with staying focused on the task at hand. There are so many things I can do with my time and I need to limit them to a handful of the most important tasks to be the most productive version of myself. 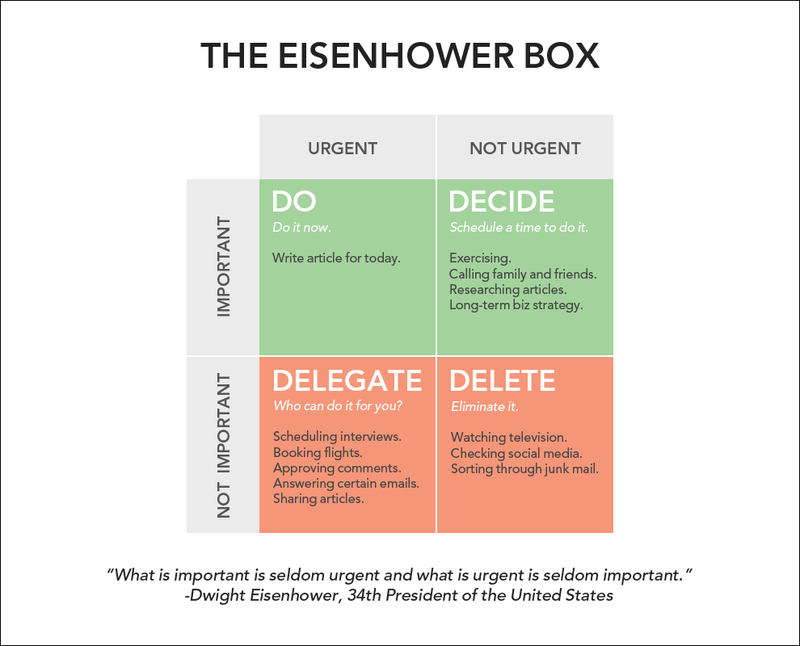 The Eisenhower Matrix helps me think about my week (and I have a specific way of scheduling my week that I'll write about in the future) and the set of tasks available, but I still needed some way to stay on track. Fires ultimately come up in every day work. If you're not careful, these fires throw you off-track. Help me outsource my brain and set up a workflow. Be difficult to ignore/hide from when I don't want to work. The solution is a sticky note workflow over my desk. First, I set up three notes denoting the time of the day. Notice that I do not do specific times but rather regions of the day like "Morning," "Afternoon," and "Evening." This allows me to account for fires that will pop up in the day and doesn't make me a slave to the clock for the non-scheduled items. Second, before I go to bed, I sit down at my desk and consult my Google Calendar (I did not do this at first and missed a meeting the next day...any time you set up a new workflow system, make sure you integrate it into the old one!). I write out any of my appointments or items on the calendar on sticky notes and put them under their respective parts of the day. 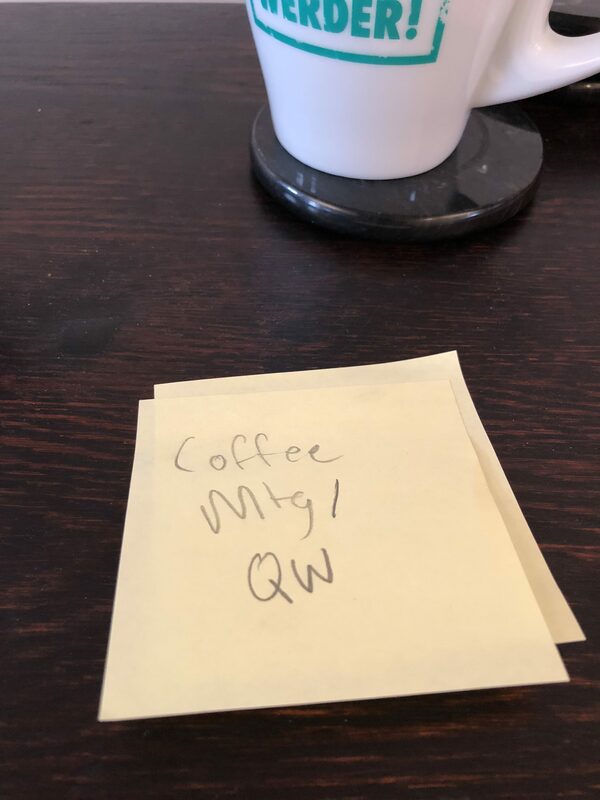 If I have a coffee meeting at 7:30 and a phone call at 10:30, I'll write "Coffee w/ Name" and "Call w/ Name" and place the coffee note to the left of the call note. Third, I write out my urgent/important items for the day. These are the things that have to get done that day in order for me to feel it is a success. For me, this is often creative work like writing or focused work like editing. I schedule it at the beginning of the day before the rest of the day can be derailed by fires. Fourth, I write the things I would like to do that day and fill in the empty space with them. These might be leisurely items like reading or going to the gym. I still schedule them in because I don't want to worry about, "when will I get to the gym today?" It's on the schedule. It will happen after X but before Y. I also place tasks that did not get done the previous day in this category. They supersede the leisure items, so I have an incentive to not let things pile up. Fifth, I subdivide larger tasks into smaller ones. For example, today I want to do some line-editing on a major proposal and there are three sections I need to go through with a fine-toothed comb. Instead of just writing "Line Editing," which leaves me asking, "where do I start?" I write down each of the three sections and put them in the order with which I'd like to address them. What makes this system work so well for me is that it is constantly visible to me while working (I am sitting in front of it right now) and that it allows me to celebrate my wins. 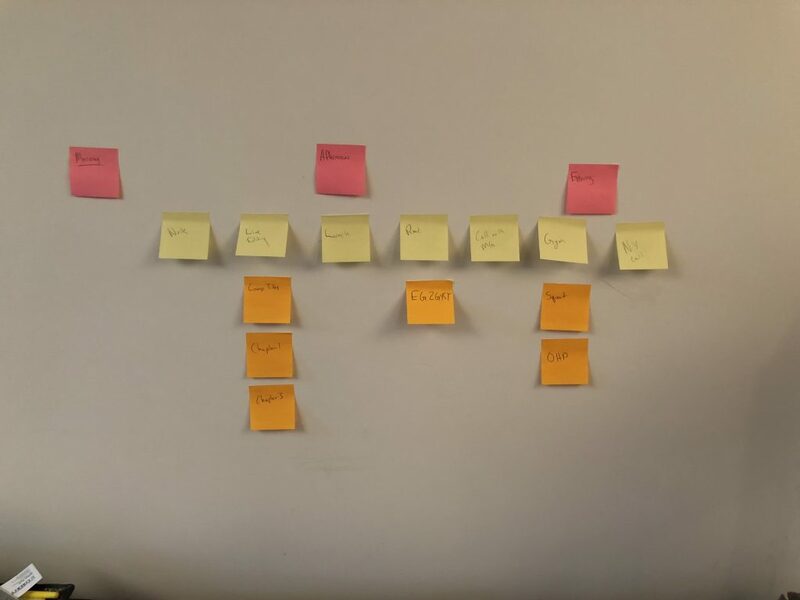 When a task is complete, I pull it off the wall and place it in a pile of completed tasks that also remains visible throughout the day. Though small, the little hit of dopamine I get while doing this is enough to make me look forward to doing that for the next item on the list. I keep a separate part of the wall where items that do not get done pile up. As this part of the wall gets filled up with notes, I feel less sure of my productivity and start thinking of ways I can get all of those things done. This puts healthy pressure on me to not let things slip through the cracks. This system keeps me focused and on track. When I feel like putzing around on Medium or Twitter, I have the colorful notes staring down at me and symbolically chastising me to get back on track. The leisurely notes remind me that leisure will come in due time with the right focus. The completed tasks by my coffee mug remind me of how effective I've already been in the day and to keep adding them up. I almost feel like I am competing with an earlier version of myself. Think in terms of workflow and what has to get done, not in terms of getting everything done. Set up your games to win.